Over the past decade of working in the world of collaborative innovation, I’ve had the great pleasure to meet, interview, and work with a fantastic group of innovation leaders helping companies build the tools, techniques, and talent required to compete in the changing world of technology and innovation. 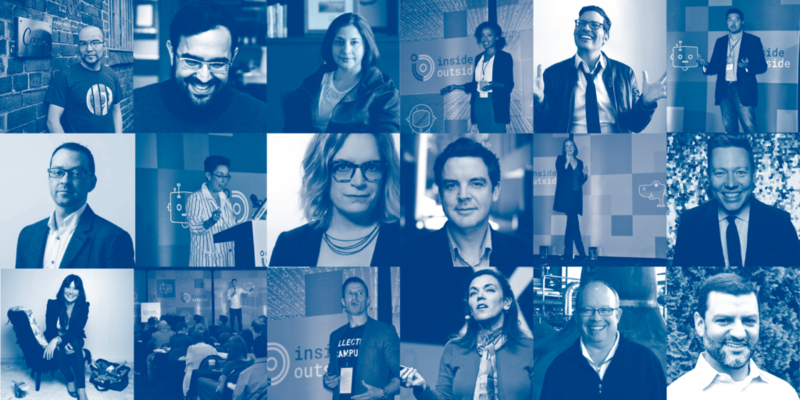 Here are 56 innovation gurus, that you should know, making waves in 2019. The list includes those innovation leaders who are working in the trenches, as well as innovation leaders providing thought leadership to help us understand what’s working and what’s next in business innovation. Nirali Shah is an innovation architect at Cisco HyperInnovation Living Labs (CHILL), a co-innovation catalyst for Cisco’s $12B Customer Experience business. They partner with large corporations to create an ecosystem approach to innovation. Lindsay Angelo partners with brands of all sizes to explore and validate ideas and create strategies to bring those ideas to life. She has held positions at lululemon and BC Hydro. Lorrie Vogel is the CEO/Founder ImagineNOW, a consultancy that accelerates innovation by using the power of design thinking, leveraging innovation, design and sustainability expertise. Lorrie was also at Nike for two decades, bringing changes to all facets of Nike’s products as well as shaping the future of the apparel and footwear industry as the VP of Nike’s Material Science and Innovation. Jonathan Bertfield is a Partner at Spinnaker Co. He’s worked with global corporations, early-stage startups, large government agencies and non-profits as a consultant, coach, trainer and workshop facilitator. Douglas Ferguson is an entrepreneur and human-centered technologist. He is president of Voltage Control, an Austin-based workshop agency that specializes in Design Sprints and innovation workshops. This article contains affiliate links that may earn Inside Outside a small fee on purchases originating from them. They do not influence editorial decisions to include mention of any products or services in this article.